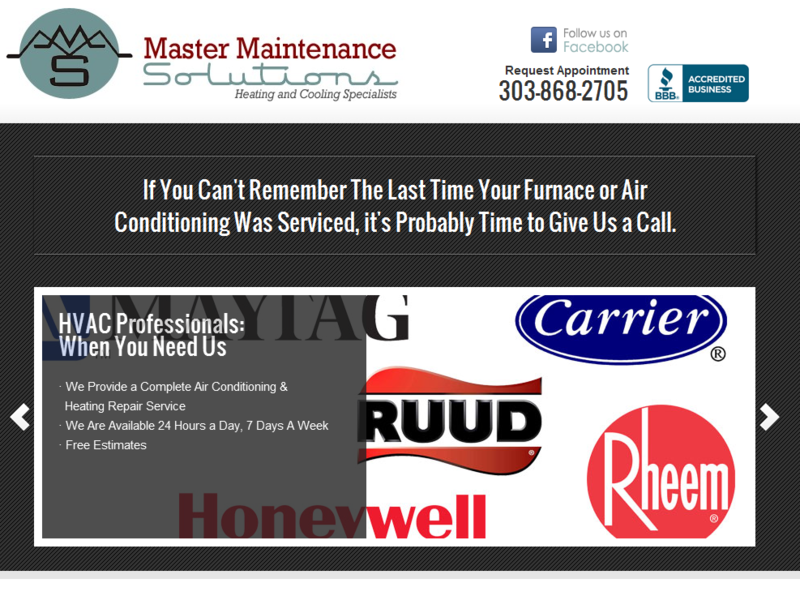 Here's a beautiful new site for a valued client specializing in heating and air conditioner maintenance and repair. Master Maintenance Solutions, headed up by Brock McCoy, has been servicing the Denver, Colorado area for over 30 years. And this year he decided it was time for a professional web presence to increase his reach and client base. Click on the image below to check it out!